"I was born in Melrose, Massachusetts, on November 21, 1908. I have lived all my life in New England, and though I love to travel I can't imagine ever calling any other place on earth home. Since I can't remember a time when I didn't intend to write, it is hard to explain why I took so long getting around to it in earnest. But the years seemed to go by very quickly. In 1936 I married Alden Speare and came to Connecticut. Not till both children were in junior high did I find time at last to sit down quietly with a pencil and paper. I turned naturally to the things which had filled my days and thoughts and began to write magazine articles about family living. Then one day I stumbled on a true story from New England history with a character who seemed to me an ideal heroine. Though I had my first historical novel almost by accident it soon proved to be an absorbing hobby." 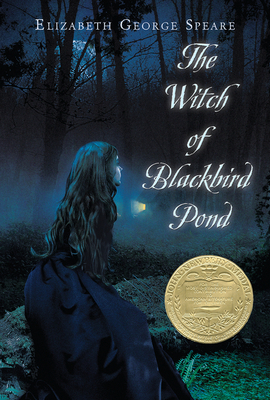 Elizabeth George Speare (1908-1994) won the 1959 Newbery Medal for THE WITCH OF BLACKBIRD POND, and the 1962 Newbery Medal for THE BRONZE BOW. She also received a Newbery Honor Award in 1983, and in 1989 she was presented with the Laura Ingalls Wilder Award for her substantial and enduring contribution to children’s literature.